Home › Christian › How Long, Lord? Would it surprise you to learn that the above was written a little over two-thousand-six-hundred years ago by a prophet by the name of Habakkuk? I have little doubt that if I had not told you your first impression would be to think that those were my words. After all, they perfectly describe current events, do they not? If this describes you, please take heart to what I write. The same God who worked in the days of Habakkuk is the same God at work today. And, as with Habakkuk, I believe the same words spoken to him by God apply equally to this chosen generation. Look at God’s response to Habakkuk. “Look among the nations and watch – Be utterly astounded! For I will work a work in your days which you would not believe, though it were told you,” (Hab 1:5 NKJV). The Lord was telling Habakkuk that a plan was already in motion that was so grand that he would have uttered the words, “I don’t believe it,” had he been told up front. It is at this point that we see a shift in the thought process of Habakkuk. Yes there was chaos; yes there was turmoil; yes it looked like there was no hope. However, look at his final words in chapter three. 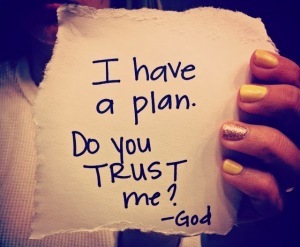 Be assured that God has a plan, is working that plan, and knows the ending of that plan. He is looking to us, His children, to continue to run our race and to point this dying world to Jesus before the final curtain drops. Though it may look like there is no hope, be assured that God is at work! If you don’t believe me, go to the end of the Bible. Jesus is coming back quickly. Be blessed. Reading this renewed my hope, Patrick. Thank you for the inspiration! I’m glad your hope is renewed. Every now and then we all need little reminders. Hi Partrick, I was answering your comment on my blog this morning and I accidentally sent it to spam…but I want to thank you for your support. I guess we’d better start practicing praise so that in Heaven, we’ll know how to converse! I praise God for men like you who live to serve Him and reach out to others. Have a wonderful Sunday, Patrick.